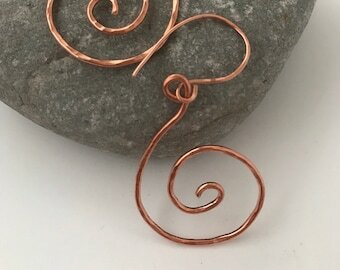 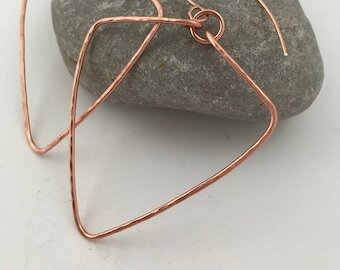 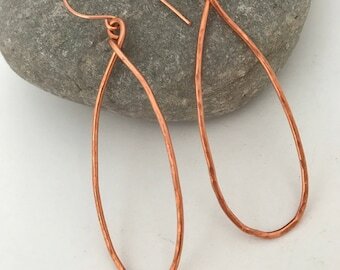 These simple to wear earrings are hand shaped from 18 gauge genuine copper wire dangling from 20 gauge genuine copper wire (also hand shaped). 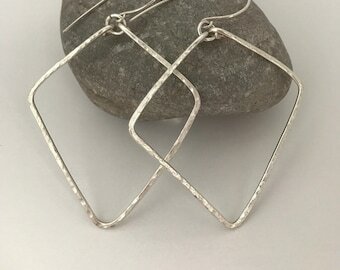 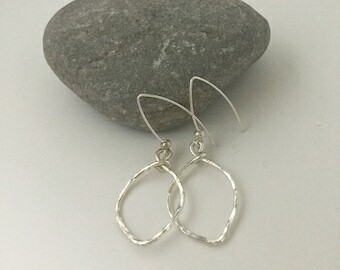 The hoops are hand hammered then tumbled for extra shine and strength. 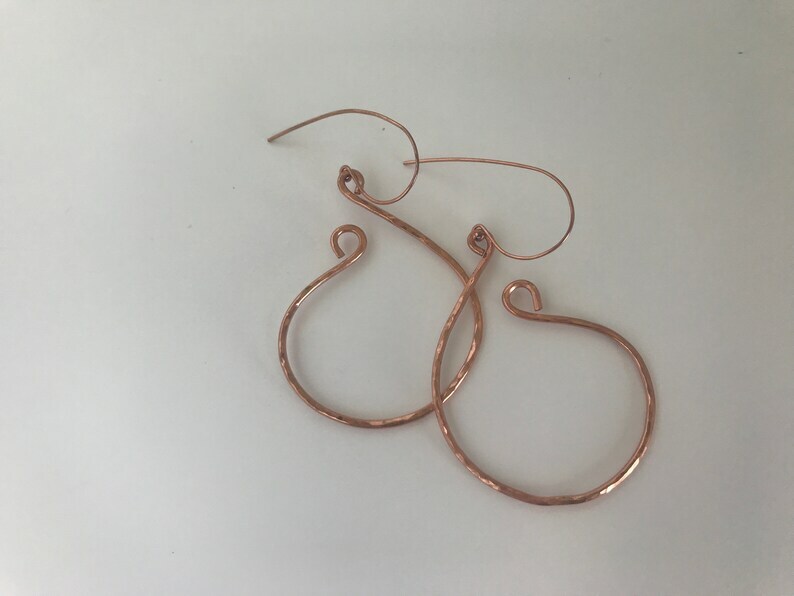 The hoops measure 1.5" wide by 2.25" long with an overall length of 2.75" from the top of the French wire to the bottom curve. 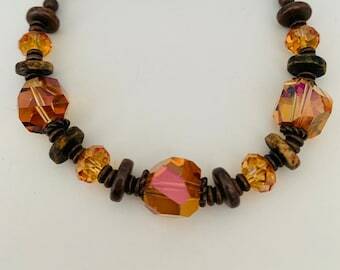 Keep in mind that because each piece is custom made by hand, slight variations in size will occur.